In partnership with Havas Paris, Paris Retail Week presents the findings of the consumer behaviour and retail trends watch. Retail is entering a new era. Amazon, the undeniable e-commerce colossus, is constantly reinventing itself to please its customers. The internet giant is now looking towards physical stores as a way of expanding its retail model integrated into all aspects of day-to-day life. In contrast, Carrefour and Walmart are rapidly developing defining e-commerce solutions. The retail giants are changing and designing the foundations of a new model offering an intricate blend of digital and physical. Nevertheless, this evolution is not synonymous with the advent of a fully digital, automated, virtual retail. On the contrary, this digitalisation is rekindling expectations for a more human form of retail which is able to gain the trust of consumers and arouse positive emotions in them. The new Havas Paris / Paris Retail Week Shopper Observer has been assessing the trends surrounding this issue. Thanks to the development of data processing and digital technologies, it is becoming easy to gather pertinent information about consumers: their likes, tastes, preferred payment method, experiences, etc. These data enable brands to create customised experiences, forge a relationship with consumers and secure customer loyalty. The aim is therefore to understand them as individuals in order to be able to identify their expectations and respond to them quickly and seamlessly. It is this new authentic, human and experiential retail which constitutes Live Retail, the central theme of the 2017 Paris Retail Week. Looking beyond profit, brands are becoming socially engaged and fervent campaigners. Live Retail can be observed through the changing stance of many brands, which are going far beyond SER to take a much more active part in the public debate. They no longer hesitate to show their own emotions, even if it means alienating one part of the population. These stances echo the expectations of consumers: 79% of French people1 believe that companies now have a duty to act to improve society. Indeed, 64% believe that it is a good thing for companies to take a stand on public issues in order to defend values and help to bring changes to our society. This campaigning trend has been particularly visible in the United States since the election of Donald Trump. Many brands (Gap, Ikea, North Face, Nike, etc.) have urged the new American president not to renege on the Paris agreement on climate change. Ben & Jerry’s often uses Twitter to activate its community, addressing political issues and the choices facing society (urging consumers to console themselves during Trump’s inauguration by eating ice cream). Similarly, the CEO of Starbucks, Howard Schultz, quickly took a stance against the president’s policy by offering free accommodation to immigrants banned from entering the United States. Almost ¾ of French people (72%) are not ready for a cold, automated relationship with brands. 66% say that they would like brands to spontaneously offer them products which correspond to their tastes. Such fears are groundless as the advances in digital technology are actually helping to humanise the retail sector. A new playground is emerging: recent and blistering advances in artificial intelligence (AI) and big data are enabling brands to identify and understand consumers’ emotions, helping them to interact with their customers and satisfy their needs. The brands have done everything right and have recently begun developing prototypes and projects around AI. More than a gadget, the use of AI, to detect emotions, can be usefully applied to stores. Chatbots and new conversation-based assistants such as Amazon Alexa, Google Home, Microsoft Cortana and Apple Emotient which analyse faces and which could be integrated into Siri, are emblematic of these capacities. The ‘Realtime Crowd Insights’ technology, developed by Microsoft, enables retailers to perform a statistical analysis of the footfall in their stores and identify in real time the gender, age group as well as the emotions of the customer. Another example of the potential application of such technology is the UMood initiative launched by Uniglo in Australia which allows customers to choose their T-shirts according to their mood from 600 models. The customer’s brain activity and emotional state, monitored by a headset, guides the computer to select the most appropriate model. Consumers want a form of retail which offers a more fluid pathway, with no waiting, inserting itself into their day-to-day life with the internet site and sales point becoming one. No less than 71% of French people state that in the future they would like all their favourite products to be equally accessible online and in store. This is particularly true for 82% of 18-24 years old. A new model is emerging, with no separation between online and offline, for a fluid and straightforward buying experience. Consumers are urging pure players to become part of this trend: 57% want major retailers (Amazon, Vente Privée, Cdiscount, Le Bon Coin, etc.) to open physical stores. This expectation is particularly high in young people with 70% demanding such a move. While physical retailers are investing in the digitalisation of their business, the internet giants are redesigning their strategy to integrate physical stores, Amazon Go stores with no queues or checkout procedures being the most obvious example. 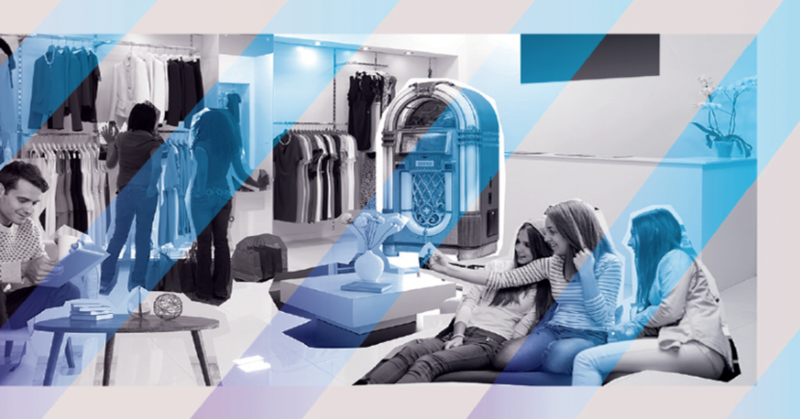 Today, pure players, brands and leading retailers are converging towards a single model; a model in which the physical store is being completely redesigned within a broader ecosystem. An increasingly digitised supermodel which is closer to consumers, more present in their day-to-day life, but which to be acceptable must also be more and more human. Consumers’ behaviour, values and priorities are influenced by the changes to technology and society. The retail sector is constantly reinventing itself to evolve in line with consumers’ expectations. That is why the Havas Paris/Paris Retail Week observatory is focusing on this strategic subject in a world undergoing a major revolution where data sometimes make us forget the essential: the human dimension and emotions. With a finger firmly on the pulse of the issues facing the retail sector, Paris Retail Week is the ideal place for the community to discuss these evolutions. The event will therefore be holding conferences and innovative workshops addressing these topics to help retailers understand the major changes taking place in the sector. 1 OpinionWay survey for Havas Paris / Paris Retail Week led on 26 and 27 April 2017 with 1024 respondents from a representative sample of the French population aged 18 years and above, with quotas to ensure the representativeness of gender, age, csp, size of town and region of residence.